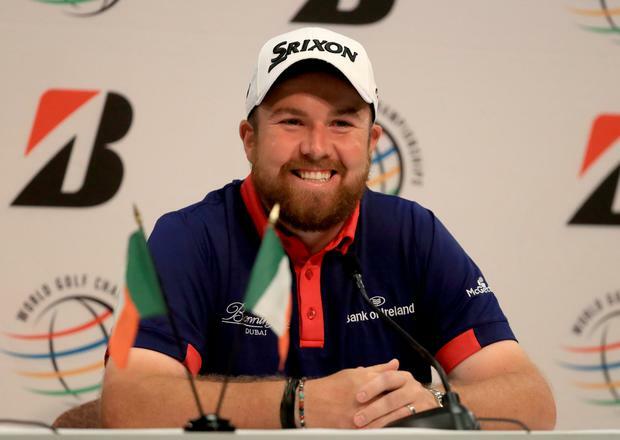 Vincent Hogan: Is it not all getting a little perverse when a man like Shane Lowry gets accused of being some kind of cold, unpatriotic wretch? Before the flashbulb blizzard comes the low-watt preliminary that almost every Irish Olympic story carries as its underside. "This is history," hollered the National Stadium Master of Ceremonies on Friday night. In the ring stood eight Rio-bound boxers waving to their public. Outside, sat only diehards, maybe 400 of them, including Olympic medallists, Michael Carruth, Kenneth Egan and Hughie Russell. In total, there were seven pieces of Olympic metal brought for viewing to the South Circular Road ring, as many as Ireland has won in every other sport combined since Atlanta '96 if you include Michelle Smith's tally or Melbourne '56 if you don't. Yet, we pick and choose our times to be interested in these people and, on Friday's evidence, that interest hadn't quite yet activated. This, of course, is about to change. Soon, Katie Taylor and Paddy Barnes and Michael Conlan and Joe Ward will be swamped by the nation's attention, over-run with the giddy expectation of strangers and the feigned intimacy of those of us in the media for whom they, suddenly, represent the story. But, on Friday, that metamorphosis hadn't quite yet found expression. So five of our Olympic boxers participated in a test event against Russia and, by the time (just after 10.30pm) that Ward climbed through the ropes for a concluding bout, much of the crowd had already been siphoned away into the night. It was a laid-back, informal gathering with genuine warmth coded into every greeting, every handshake. Taylor, arguably the country's greatest athlete, acceded to every single autograph and selfie request, making time to chat with anyone who asked. "These are remarkable people," said IABA president Pat Ryan of our boxing Olympians. He wasn't wrong. But if you listened hard enough above the broad hum of conversation, you might have heard unwelcome footsteps. Because the International Olympic Committee, palpably, doesn't want Barnes or Conlan or Ward on a Rio podium. It doesn't want what it perceives as small-town heroes where it senses the possibility of Hollywood. If tennis can have Serena Williams why not let boxing roll out Manny Pacquaio? Hence that invitation to a retired, 37-year-old Pacquaio to compete in Rio as a wild card. Of course, Pacquaio declined on the basis that his responsibilities as a senator in the Philippines would not allow it, but the message from AIBA president - Ching Kuo Wu - was loud and clear. If professionals like Pacquaio, Wladimir Klitschko and Amir Khan fancied a shot at Olympic glory, the accreditation lanyard was as good as in the post. That's because the IOC believes the modern Games need glamour more than authentic heroes. That it's not about sport so much as the market, about sponsors, about advertisers, about corporate appetite. About fuelling the Disney fantasy. Hence the corporate gluttony that brought golf back onto the Olympic charter despite its principals now turning away in droves. That, potentially, is boxing's future too. Of 88 member federations of the AIBA, not one country voted against the recent rule change to grant full professionals Olympic eligibility. Why? Because they understood the implications of not complying. As England Boxing put it in a recent statement: "To vote no would have been the quickest way of destroying the Olympic amateur competition as we know it." Now some imagine that pro v amateur would be an unfair battle, something akin to giving a lion a head-start on a giraffe. In reality, it might just be the opposite. The idea of a professional having the smarts to outbox a skilled amateur over three intense, technical rounds of combat may not be as straight-forward as some presume. In any event, the amateur/pro divide is hopelessly blurred in boxing, so many 'amateurs' now signed up to AIBA-run professional tournaments. But the past week surely served to amplify the soaring paradox, if not hypocrisy, of a modern Olympics. For those boxers in the Stadium ring on Friday night, the Games dwarf anything else in their sporting lives. But, for the golfers seemingly so spooked by a Zika virus threat that the Tropical Medical Bureau estimates to run in the region of a one in 350,000 chance of contracting, the Rio spectacular has no such elevated status. There have been, we are told, zero Zika infections reported among 17,000 athletes, volunteers and staff participating at Rio test events in the lead-up to next month's Games and the virus has been identified in a total of 64 countries, among them the US and - specifically - the state of Florida. Yet the threat of infection at next month's Olympics is the reason, purportedly, behind Rory McIlroy and Shane Lowry choosing to stay away. This has drawn upon them the wrath of both social and conventional media, with even Taylor tweeting scornfully: "I wonder what excuse the golfers would of made if there was no virus." But is that wrath entirely fair? On the one hand, Lowry has made clear his hope of starting a family with new wife, Wendy, and - given the most grievous Zika threat is to an unborn child - was he not entitled to make the decision that he made, one defended on Newstalk last week by Professor Sam McConkey, head of the Department of Health and Tropical Medicine at the Royal College of Surgeons? Professor McConkey suggested that, in light of his personal circumstance, Lowry's call represented a "very solid, sound, wise, evidence-based decision". And is it not all getting a little perverse when someone like Lowry starts getting accused of being some kind of cold, unpatriotic wretch for erasing Rio from his schedule? A guy who puts the FAI logo on his golf bag to coincide with Euro 2016; someone whose Twitter dialogue focuses as much on Offaly GAA as anything to do with golf; who regularly expresses pride in the successes of other Irish sports people; someone who clearly, palpably, unambiguously is as proud an Irishman as ever strode into sporting combat ... is there not something slightly out of kilter when he's depicted as disloyal to the nation? Part of the issue here appears to be the garbled arithmetic of risk. Leona Maguire was quoted this week as saying the "five per cent" chance of being infected with the Zika virus was worth accepting for the honour of being an Olympian. Yet, if the actual risk of infection was even a tiny percentage of that figure, chances are they'd have only tumbleweed rolling through the Olympic village next month. Now there's a fair probability that most of the male golfers declaring themselves unavailable for Rio are doing so simply because it doesn't suit either their or their sponsors' schedules. Bear in mind that the LPGA tour has created a three-week window to accommodate the Olympics, yet the men have two Majors in the three weeks immediately before. It isn't either rational or reasonable to suggest an Olympic opportunity represents the same thing to Barnes, who probably needs another medal in Rio just to protect his funding, as it does to McIlroy, one of the wealthiest sports people on the planet. But that's the lie the IOC wants to sell us. That, in the magic kingdom of Olympia, everybody is miraculously equal. When the reality is they're not. And, plainly, never have been. Barry Lennon Former Olympian Niall O'Toole advised Scott Evans to keep his badminton career going as long as possible, warning that "everything else in life is pretty crappy". Cathal McMahon and Ryan Nugent Former Olympic Council of Ireland (OCI) chief Pat Hickey needs to undergo a delicate heart procedure, his lawyer has revealed.